Thirty six persimmons about 20 pounds were made into 16 liters of juice.Process was to wash,remove stem, cut into quarters, add 10 liters of water to cooking pot, cook for about 20 minutes, blend into a slurry.Strain through a 2 mm mesh food mill, place in liter jars and pressure cook at 15 PSI for 15 minutes for long term storage. The complete fruit is used. the juice is very sweet. Straining is not necessary since there is almost no gross fiber. 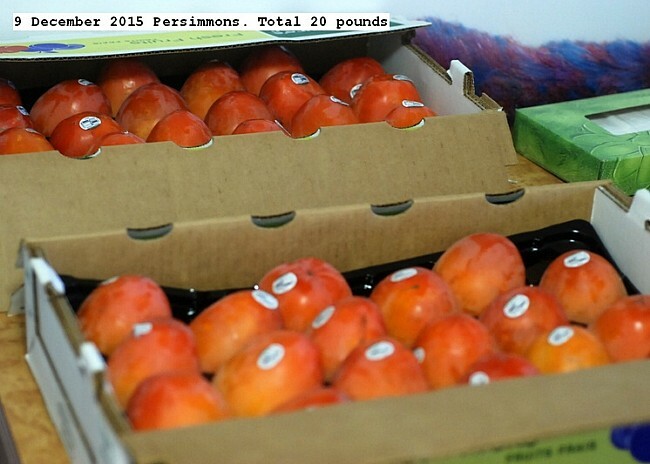 This entry was posted in Uncategorized and tagged Persimmon, Persimmon Juice. Bookmark the permalink.